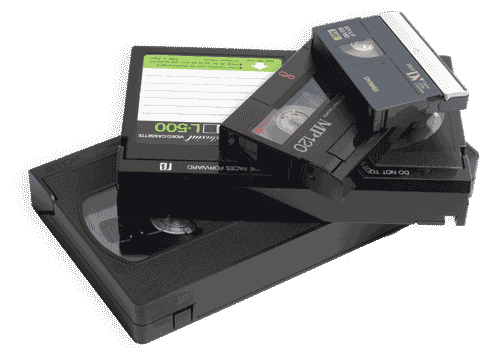 Whether you want DVDs to play on your TV or digital files for your computer, we can transfer your video tapes from what you have to what you need. We transfer over 20,000 tapes a year, and we've done our best to make the transfer process as smooth as possible. Collect up your tapes and bring them in to one of our stores. We will confirm the format of your tapes and discuss titling options and give you an estimate of the costs to transfer them. We'll finalize your work order and barcode your tapes to keep them safe while we work on them. We'll also give you an idea of when your order will be completed. Most jobs are done in 1-2 weeks, but if you are in a hurry, let us know. Sometimes we can do a job as fast as same day in a pinch (rush charges may apply). Once you have placed your order our technicians get to work inspecting your tapes, playing them back, checking the quality of the transfer and formatting them into DVDs or digital files. When your order is completed, we'll give you a call and let you know it is ready for pickup. We accept payment by cash, check, or credit card. So what are you waiting for? Gather up your tapes and find a location near you!